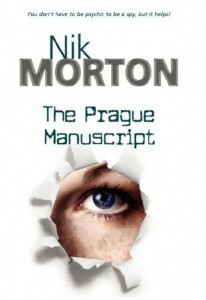 Today, I’m delighted to welcome Nik Morton (no relation! 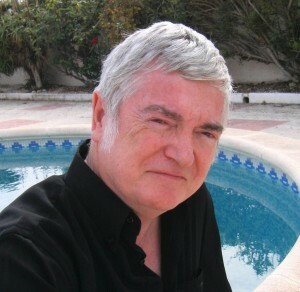 ), who also writes as Ross Morton and a few other names besides… Ex-Royal Navy, ex-IT, expat living in Spain, he works as an editor and writer of short stories, articles and novels. Added to this he draws cartoons and illustrates comics, stories and magazine covers. 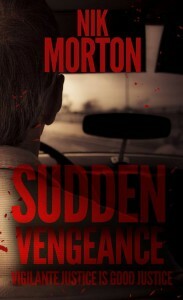 To date, he has 20 books published, the latest of which is Sudden Vengeance, out this last week. As he writes thrillers in a modern historical context, I asked him to give us his perspective on history. At school – a long, long time ago – history was one of my favourite subjects. The others were English, Geography and Art. I’d draw images from the past – using statues or photos – to illustrate my essays; maybe it was an excuse just to draw! The history bug never left me, however. I read voraciously, not only fiction but non-fiction. 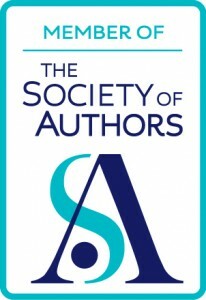 I devoured the books spawned by the Second World War – Carve Her Name With Pride, Odette, Boldness Be My Friend, etc. – and books about Empire. 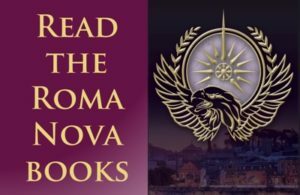 The Washing of the Spears by Donald R. Morris and Shaka Zulu by E.A. Ritter being a couple. Little did I realise I would eventually serve on the RN frigate HMS Zulu and visit Zululand some years later. Fiction informed me about history too. I enjoyed the Flashman books, and the Dennis Wheatley novels; I recall a teacher pointing out to the class that fiction writers bring the past alive, more than dry history books. Of course, the authors have to use those ‘dry history books’ in their research, and usually give credit where due. I started writing when I was about fourteen, on a Remington portable typewriter. I’d written two novels by age sixteen, but they had little to do with history. It was a long haul from those days to now. Still, I soon became aware that the times we were living in – the 1960s – were historic. Silly, really, since whatever period we live in the now, it will become history. But that’s the point. We are history. 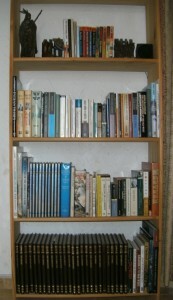 When I started writing in earnest (a small county of the mind), I began researching material. My first serious foray was in 1975, delving into Czechoslovakia. A troubled country that had more than its fair share of history by then already – and more to come, of course. I suppose that’s when I caught the bug. The book was eventually put aside until later, and I researched other interesting material – the history of psychical research, for example. That story, which began as a short piece, grew and grew over the years and became the first in a series about a psychic spy, Tana Standish. A series about the 1970s and 1980s – history I’d lived through. The series covered the 1968 Soviet invasion of Czechoslovakia, the toppling of the Shah during the Islamic Revolution of Iran, the Soviet ‘invasion’ of Afghanistan, and the Falklands War; the series is projected to cover many other events in our recent past. Concurrently with that series, I wrote about a nun who used to be a policewoman. It’s not unusual for nuns to take orders from varied walks of life. Her journey harked back to her past, when she was a policewoman. That’s the beauty of fiction – you can flashback to crucial events that shape the protagonist – delve into their personal history. The invented order that Sister Rose joined had a history going back some hundred years and the nuns suffered greatly for their cause. History beckoned in another guise, more or less at the same time. I embarked on my first Western. I’d hankered after writing a Western for many years but didn’t believe I could be authentic enough. Fortunately, research and maturity helped and I’ve had seven Westerns published to date – plus a guide on how to write a Western in 30 days! The Old West is history and is rich in material and true-life stories that can be adapted for fiction. Several of these novels are built on a present that is being warped by events in the past; history will have its say. So will history always catch us in the end? What do you think? 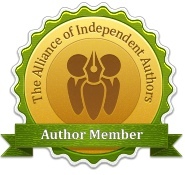 What’s Nik’s latest book, Sudden Vengeance about? A vigilante soon emerges and delivers rough justice, breaking the bones and cracking the heads of those guilty individuals who cause pain without remorse.